After being the very first vehicle that we offered when Suppose U Drive opened its doors in 1936, stake beds remain one of our top-rated and most popular rental vehicles. 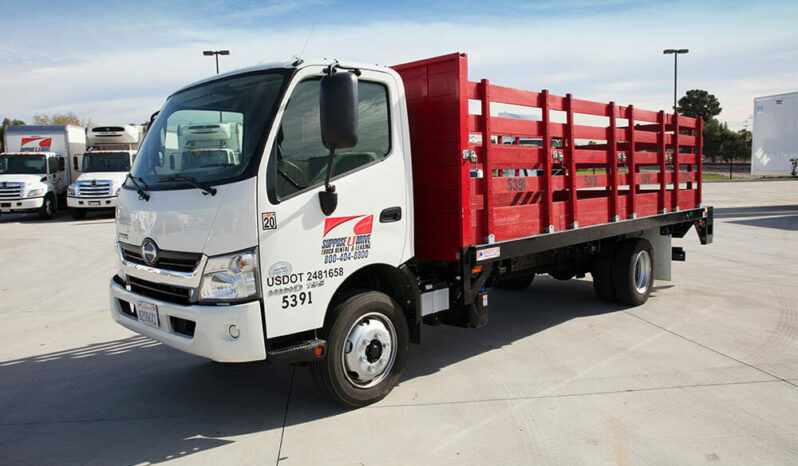 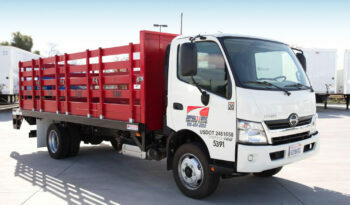 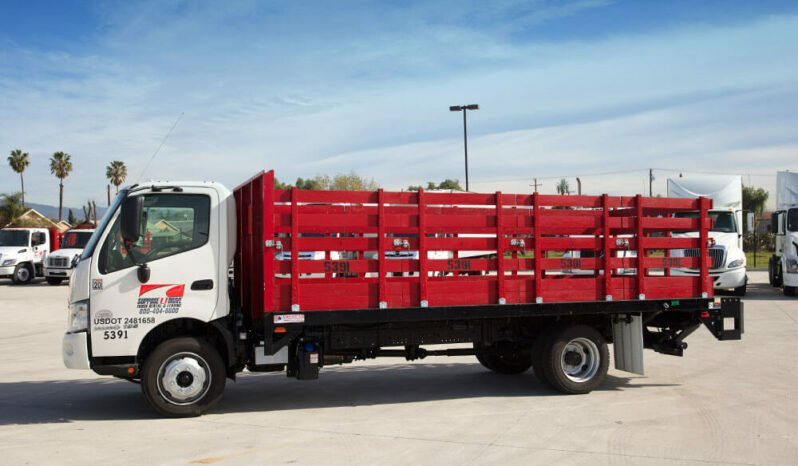 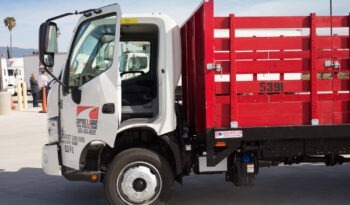 What makes our stake beds so great is that our latest models are built upon HINO 268A frames that give them superior gas mileage and dependability for even your toughest jobs. 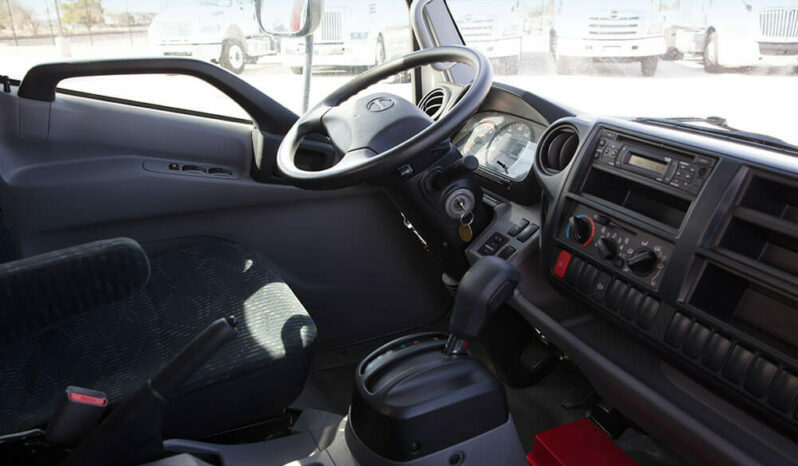 They feature a 12,000 to 19,500 GVW along with a 3-seater cabin so that all of your crew can travel comfortably. 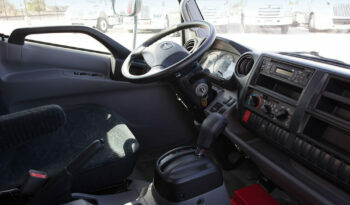 They’ll also enjoy the air conditioned cabin, CD player, and AM/FM radio for long and short hauls alike. 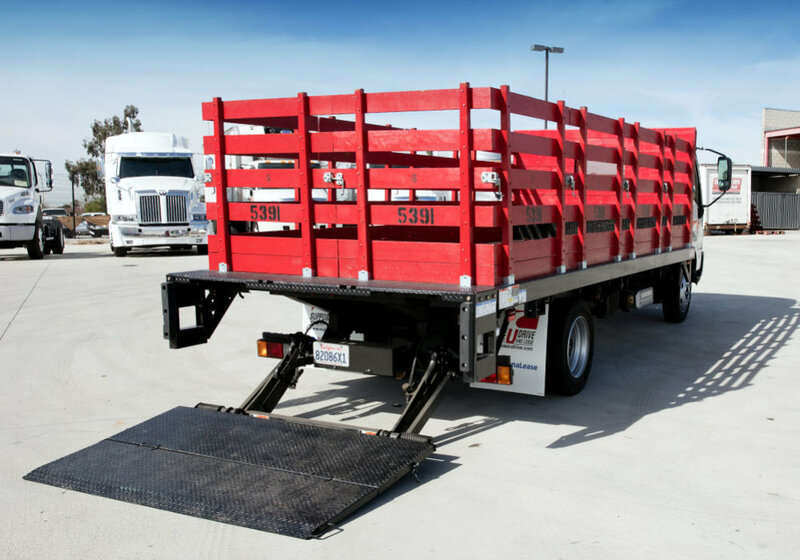 Plus, loading and unloading is a breeze thanks to the tuck-away lift gate that’s there when you need it and out of the way when you don’t. 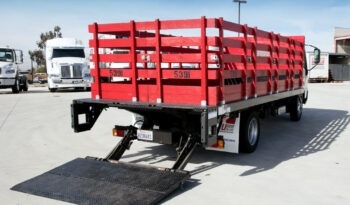 The stakes will stay securely in place when in use, but you can also remove them and covert your stake bed into a versatile flat bed whenever you need more flexibility. 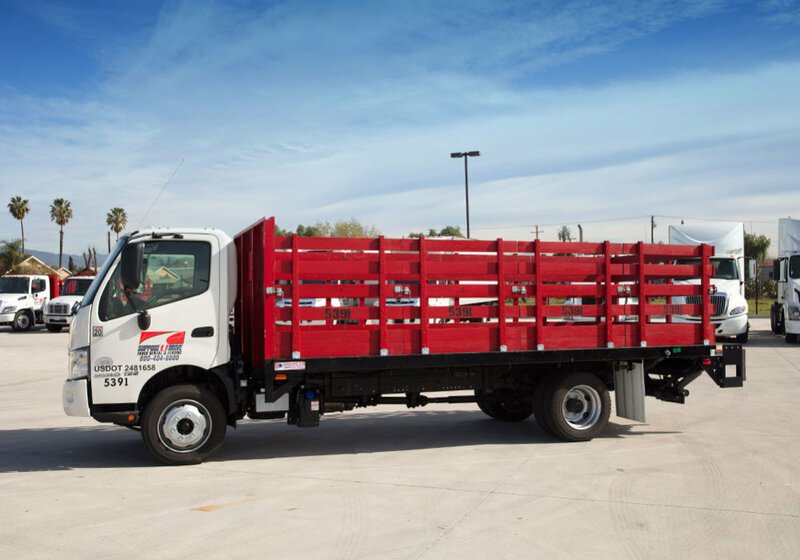 Winches come pre-equipped and every truck on our lot is put through extensive maintenance and quality checks in between uses to ensure that it’s always ready for the next client. 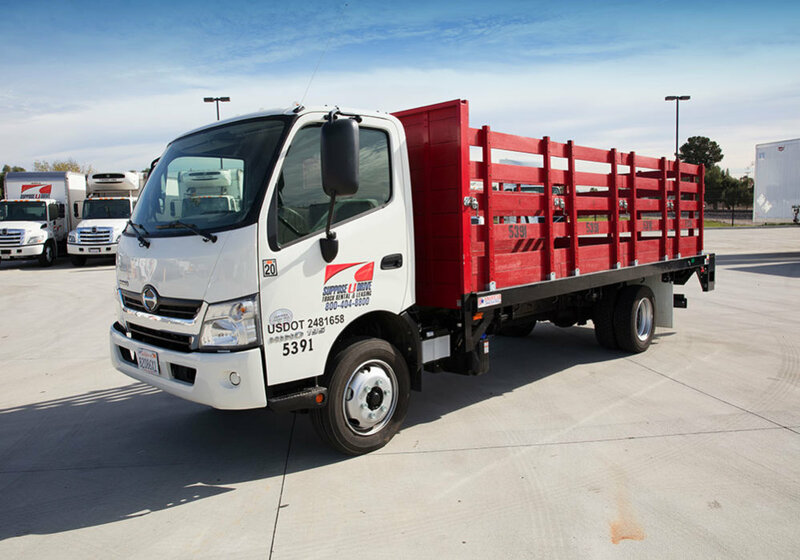 And, unlike the other guys, we won’t make you wait 30 minutes (or more) for our trucks to be fueled or washed. 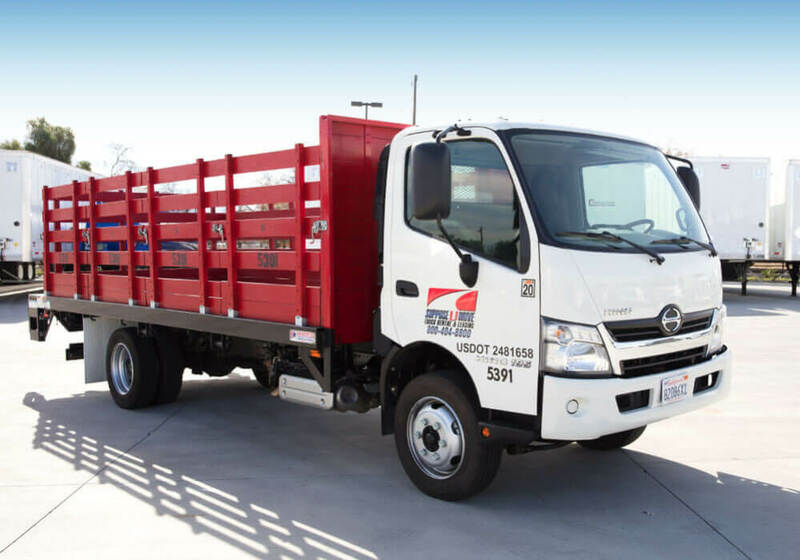 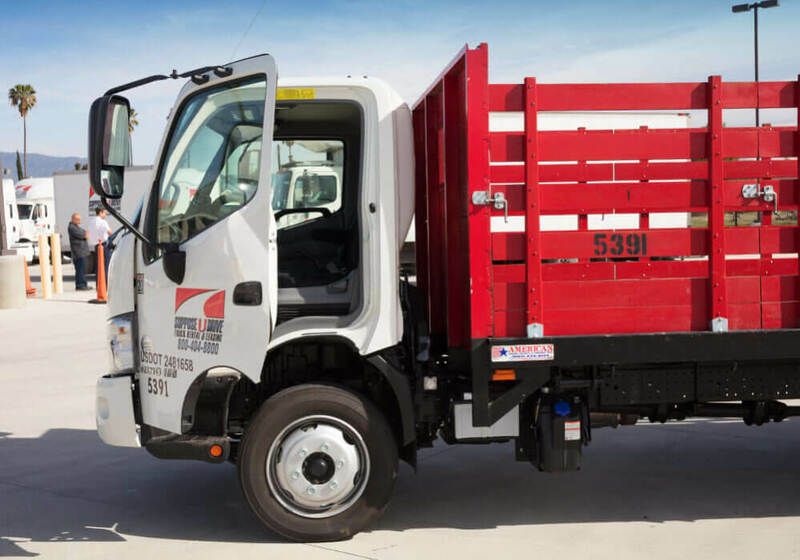 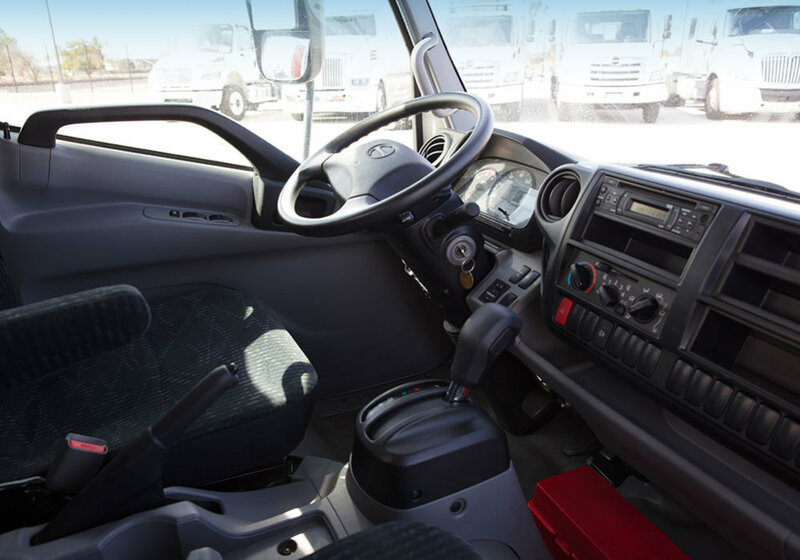 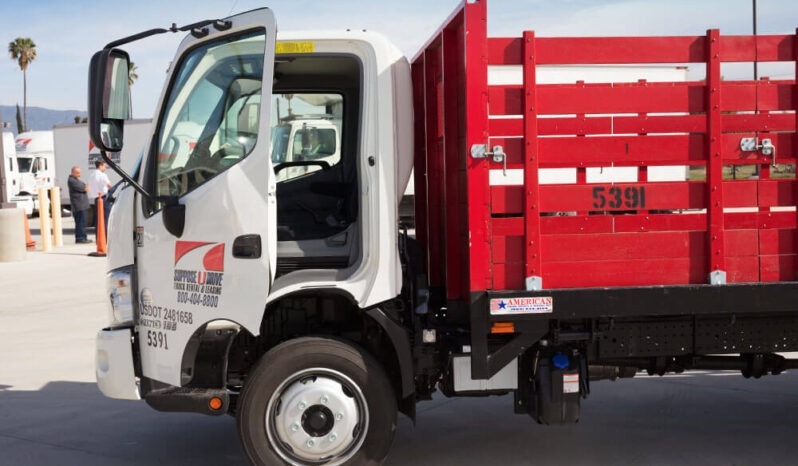 As part of our on-going commitment to offer the best in customer safety and satisfaction, every truck on our lot is ready to go as soon as you are.